I can't vouch for other countries, but in the United States, one of the classic picnic foods is deviled eggs. These popular appetizers also make their way to festive tables, especially at Easter and Passover, two holidays that feature a lot of eggs. 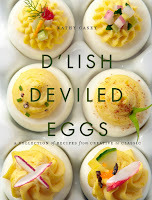 Kathy Casey's D'lish Deviled Eggs shows us how to elevate these treats from ordinary to gourmet, with flavors and garnishes for almost every occasion all year round. More than just a recipe collection, this cookbook offers advice on technique, presentation, and menus. Right off, I was attracted to the beautiful photography in D'lish Deviled Eggs. Just take a look at the cover; those pretty eggs would brighten up any buffet spread. Most home cooks will be happy to know that just about every recipe includes a stunning photo of the finished, nicely decorated deviled egg. What's more, Casey includes a section on how to build the perfect egg, from the boiling and cooling all the way to the piping and topping. No need to feel intimidated, Casey is with you through the entire process. I loved the section on pretty egg dishes as well as the list of eggy holidays. No month is complete without at least one serving of deviled eggs. From the obvious Fourth of July to the more obscure Dry Martini Day and World Egg Day to the why-not of Mother's Day and Valentine's Day, Casey has a recipe that eggs-actly [sorry!] fits the flavors of the day. The recipes are surprisingly global; I found Thai curry eggs, smoked salmon eggs, Greek eggs, and Mexican salsa eggs. 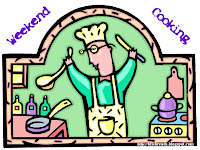 In between you'll find decidedly American recipes, such as Buffalo, onion mix, green eggs and ham, and ranch. Truly, there is something for everyone in this little gem of a cookbook. I made the Sunny Roasted Red Pepper Deviled Eggs. The yolks are mashed with red pepper pesto, mayonnaise, Dijon mustard, orange juice and orange zest, smoked paprika, and red pepper flakes. The orange is very subtle and perfectly balances the heat of the mustard and hot pepper. They were delicious, and the garnish of sliced almonds and smoked paprika was as easy as it gets. I cut the recipe down to make only four eggs. Because I was making them for recipe and taste testing only, I didn't pipe my filling, but I absolutely would do this (so easy to accomplish) if I were serving the eggs for company. 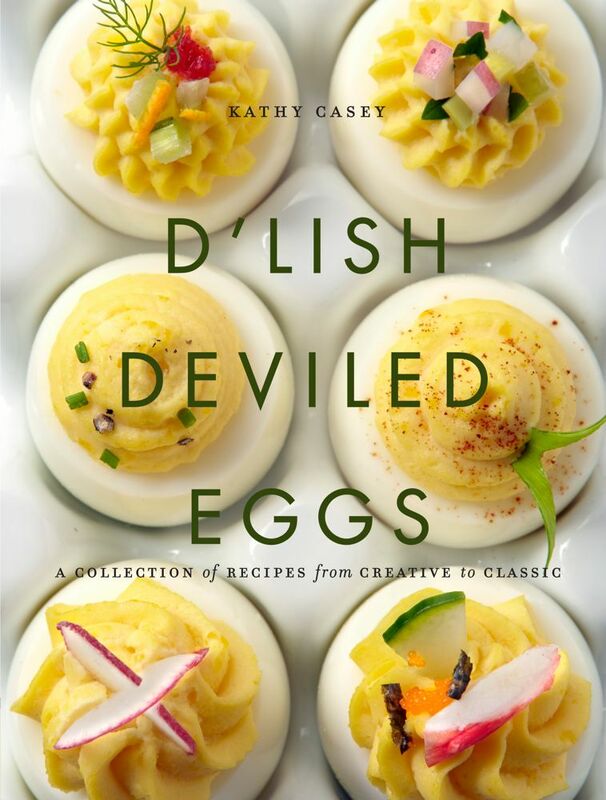 You might wonder about the worth of owning an entire book dedicated to deviled eggs, but I highly recommend Katy Casey's D'lish Deviled Eggs. It opened up a whole new world of party food, and I'm looking forward to getting out my egg platter and serving up some beautiful, tasty treats to our friends and family. For more about Kathy Casey and eggy ideas, visit her website or follow her on Twitter. Buy D'lish Deviled Eggs at an Indie or a bookstore near you. This link leads to an affiliate program. Sounds like something I'd want to check out from the library and pick a few favourite recipes. Carl loved the eggs I created from this cookbook and asked for more just this morning. I loved the section on the deviled egg dishes as well - they say every Southern Belle owns a deviled egg dish. I guess that means I'm not one. The book has inspired me to buy a dish and make eggs more often. Well.... I think this book is adorable but there's no way I'm taste testing! My mom makes the best deviled eggs, and this book looks so awesome. I'm definitely picking this one up. Saw this book reviewed over at Bermuda Onion! Sounds really good. Too funny. I got a review copy of this book, totally forgot about it, and now this is the second time in a week I've seen someone cooking from it. And it's making me hungry. And The Child LOVES deviled eggs. I love devilled eggs - I've never been sure why, because they tend to have that very creamy, filling taste to them, and I'm usually not fond of foods like that. I've never made devilled eggs myself, but I've noticed I'll always reach for one when I'm at a potluck party or buffet and someone's brought some! LOL! Yes--I am curious about an entire book devoted to deviled eggs. I love deviled eggs but with just a little bit of mayo, mustard, salt/pepper, and pakrika. And it's not unusual for my stepmom to serve deviled eggs for ANY holiday and they're usually the first thing to go. Yum. I AM curious on the method for boiling eggs in this book. Ask on twitter and you'll receive a dozen different answers (yes, I know from experience...). Fun post and timely! I've been seeing cute little chicks pop up here and there--the egg whites on both sides and the yolk piped in the center. I gotta get this book! Our family LOVES deviled eggs! My husband is famous for his! I never would have thought of needing variations on the tried-and-true deviled egg, but the recipe you tested does sound good. I already have the special deviled egg dish that holds 12! 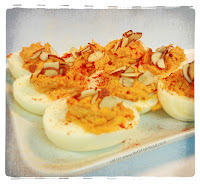 Deviled eggs are on my very short list of foods I dislike! I am laughing at a whole book dedicated to this potluck queen! 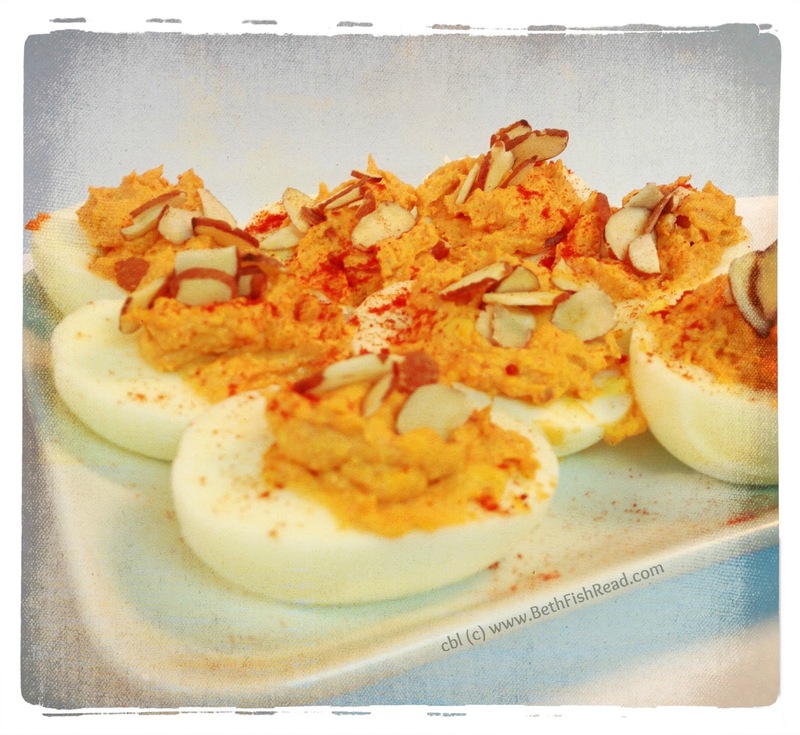 I love traditional deviled eggs and wouldn't mind trying something different. Perfect time to try them around the holidays coming up! Deviled eggs are the one food I will not eat. But that Drunken Botanist book you featured yesterday is going on my Wish List right now! Love it. Gag. ;-) Egg whites and mayo are my two least favorite foods, so I'm convinced deviled eggs are made of evil. I'm surprised a cookbook on deviled eggs exists, but I love the idea of different varieties of deviled eggs. I'll have to check this book out! I'm amazed at the wonderful cookbooks you review. Thanks!